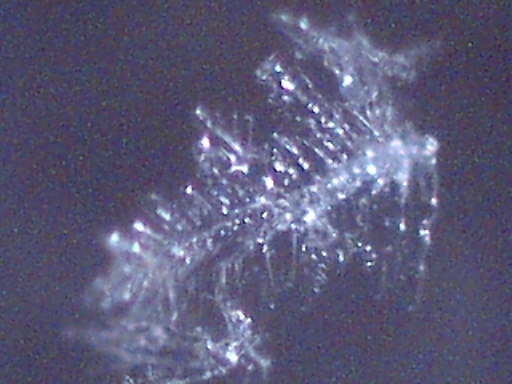 I have recently been notified of an unusual crystal form that has developed within an ionizer. A detailed description of the circumstances of occurrence is presented below by the sender of the sample; the original report was submitted on July 20, 2003. 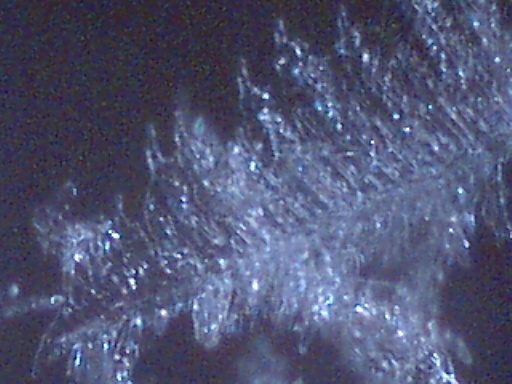 I have placed the material under the microscope and have taken several microphotographs at a magnification of 200x; these photographs also are presented below. 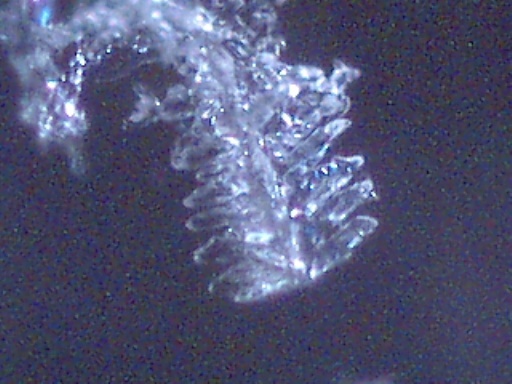 The crystals have a unique branch-like, or dendritic structure, and they are highly soluble in water. Any individual with additional information regarding the nature of this sample is welcome to contact me at cec102@usa.com. Appreciation is extended to the sender for the efforts that have been made to make this information available to the public for further examination. Thought you might be interested in some of these pictures. Just took them today. 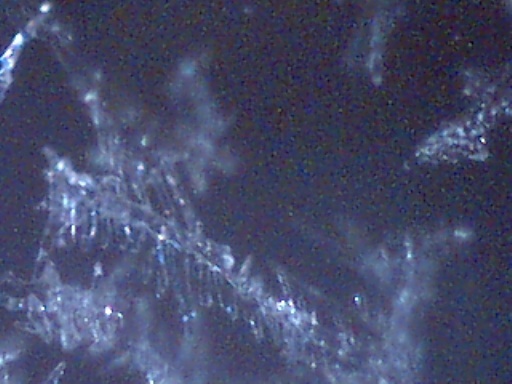 These are pics of some type of crystals formed on and around the plates of one of our Living Air Ionizers. 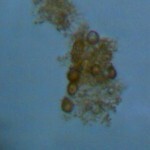 We’ve run five of these units for about five years now, and this is the first time that we have ever observed any type of crystal formation. This particular ionizer is one that we run in what we call our ”storage building” and is the only one that showed any type of crystal formation. Typically, when they get dirty, they build up with a layer of brownish dust particles with some fibrous particles. This ionizer is sitting about 7 feet off of the floor on a shelf, right by the side entrance door to the storage building (we use this door all of the time). We believe that these crystals may have developed approx. over one week or so. It may correspond with some spraying activity (which we get a lot of) over the past couple of weeks – some of our dogs have shown asthma-like symptoms, limping, and [Name withheld] has had headaches and breathing problems. Not sure why this crystal formation happened now – this particular ionizer has been in the same location for about 6-8 months. If you wish, we could send you a sample (as you can see, we have a bunch). Maybe you could have them analyzed. Not sure where we could. The material feels dry and powdery – doesn’t melt. 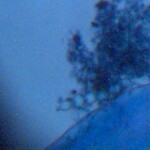 Should not have any bio elements in it due to the ionization. Interestingly, the ionizer was still functioning although it’s effectiveness may have been diminished. I think our last contact with you was a couple of years ago. We still follow most of the contrail news and activity as we appear to be affected by it like many others. This incident is definitely a new phenomenon and we’re honestly not sure if it’s related. The one thing that sticks in our minds is that we have three other units running in our house which have not shown this – but these units are located in central positions in the house, as opposed to being located right near a door. Please let me know if you are able to view the images and if you would like to have a sample of this ”stuff”. Thanks for your time and attention. We appreciate all of the work that you have done. This is the first message I attempted to send. I do have some additional, corrected information. As we discussed, the crystals, upon closer observation, do not act like a salt. 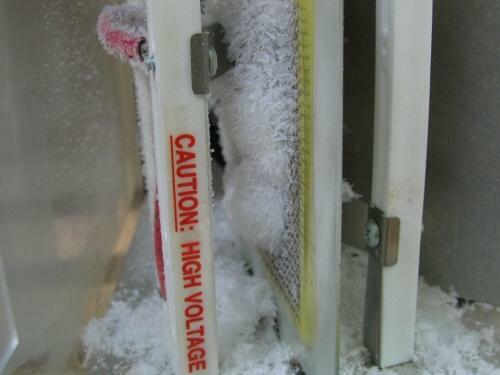 These were precipitated on the plate of the ionizer in the air conditioned (68 – 70 degrees F) storage building. 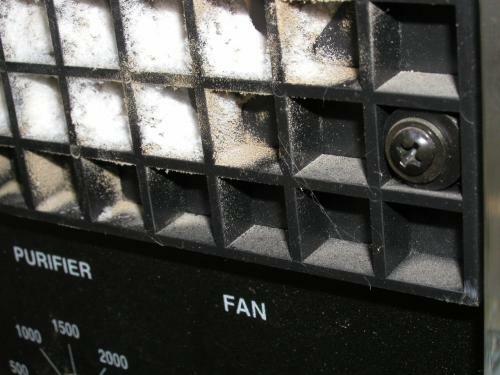 After dumping out the material to collect it, I proceeded to clean the ionizer as usual – usually to remove dust and fine particles that build up. 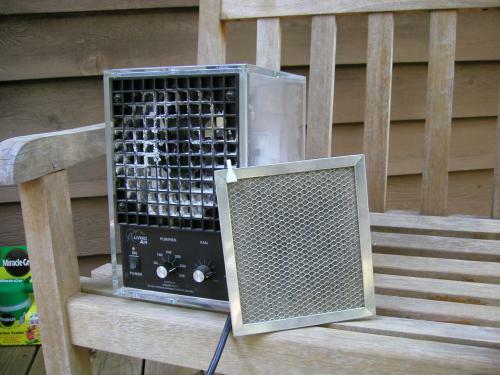 Took it outside to blow it out with ”canned air” – typically used to clean keyboards, etc. (this stuff is a compressed 1,1,1 tetraflouroethane with dimethyl ether – comes out cold). As soon as the ”air” stream hit the residual material, it liquefied on contact. Not sure if it was the mechanical force of the air, or warm, entrained air pulled into the stream. I put some between my fingers, and it melted. At this point the ionizer was a mess, and I put it back inside of the air conditioned house to clean it later. Several hours later, when I came back to clean it, the liquefied stuff appeared to have re-hardened. I later had to clean it off with Windex instead of a dry paper towel as usual. This stuff reminds me of glycerol monostearate, or some type of separate compound. It’s greasy/slick – like a highly refined fat or atactic monomer. Stearates are typically used as lubricants in processing polymers. All ionizers have an initial filter which traps some dust, etc. prior to air entering the chamber. 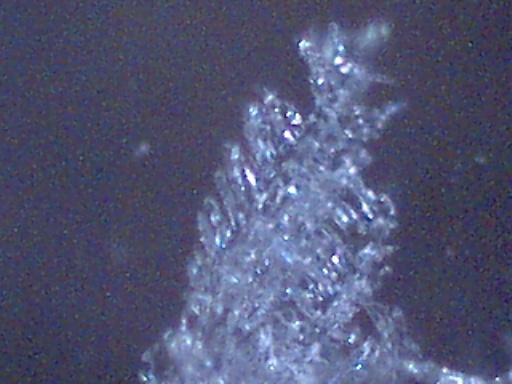 It was noted that there was no crystal formation on the filter – indicating that the material was probably suspended in air – maybe as a smoke or fog – and typically passed through the filter and condensed on the charged plate. Again, this ionizer is located right by the door of the storage building, however I thought of something else. Although it has the same overall capability of the other ionizers, it does have a major difference. The other ionizers have two plates each, where as this is a later model that has only one plate. I assume that twice the charge passes over the single plate, which could account for this ionizer having more concentrated power than the others. Hope that makes sense. Again, to reiterate, we have been familiar with contrails, spraying, etc. since 1996. We have experienced sick and dying dogs during and after heavy spraying. [Name withheld] has been ill since then. We get hit practically every day here in [location withheld] on the western side of the [location withheld]. [Name withheld] has found floating fibrous strand masses, and after picking them up (melted in [his/her/ hand), became ill – usual chem trail sickness, coughing, loss of breath, joint pains. We have also undergone periods of strange mushroom/fungus formation – puff balls the size of basketballs – no kidding. We will have the sample sent vial FedEx or UPS overnight. We will attempt to keep it cold. Will email the tracking number to you. 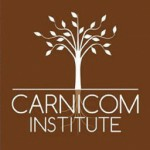 Please keep in touch – call or email if you have any other questions.